Posted in recipe, savory, Spanish by Antonio Tahhan on September 14th, 2008. You can follow any responses to this entry through the RSS 2.0 feed. You can leave a response, or trackback from your own site. 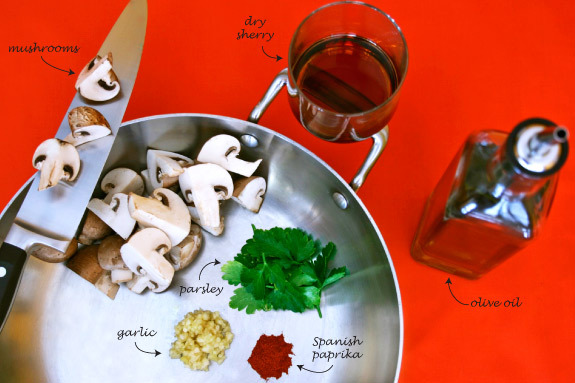 Tony, I can always make 5… er 8 minutes in my day for mushrooms 🙂 I really like the Spanish paprika too. You should think about catering sometime, these would be perfect. light pizza sounds delicious – I used the leftovers the next morning (i.e. today) in my omelette. Sundays are the only days that I get to indulge for breakfast and these mushrooms made them extra special : ) Glad you liked them, Adam! Buenos días Antonio! These kind of tapas make my day :D. Puedo oler los champis desde aquí. Oh my, I couldn’t help but click over from Foodgawker. These little ditties look to die for! I love mushrooms. This would be a hit at our house for sure! i am now sure we are long lost twins! tony i had these lovely mushrooms for dinner at a restaurant last night. seeing these on the blog makes me smile because i was trying to figure out how to recreate them in my kitchen again. i love you! Tony-tone Tone…I bought a whole whack of ‘shrooms yesterday and I’ve got the funghi bug. is it wrong that i could eat that whole pan of mushrooms in one sitting, in less time than it would take me to actually make them? I like the smoked Spanish paprika myself. I have a friend who believes mushrooms are his sworn enemy. I might, however, be able to sneak these lovely morsels past his phobia…we shall see! 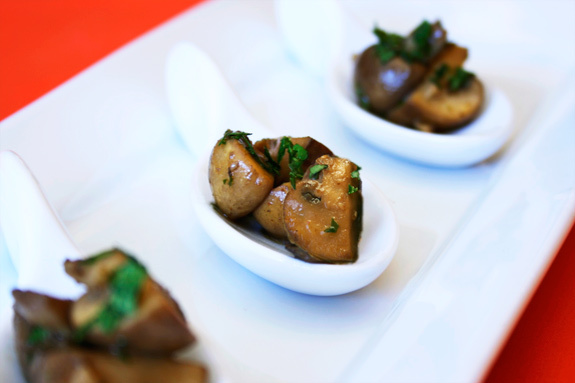 Mushrooms prepared Spanish- or tapas-style have always been my favourite. I’m always amazed how such humble ingredients magically transform into something phenomenal. Wow. These pictures are amazing. 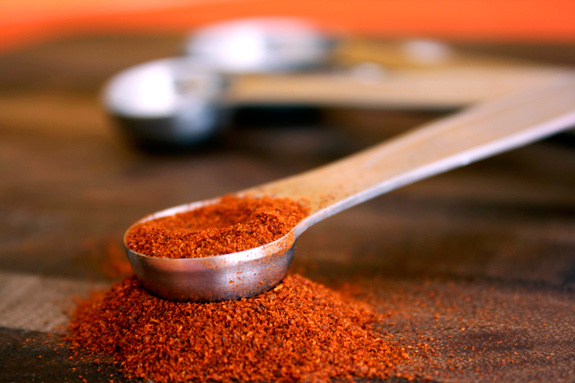 I love the one of paprika. When you are visiting, we’ll be harvesting squash and pumpkins, so put your thinking cap on. This recipe looks soo simple and delicious! 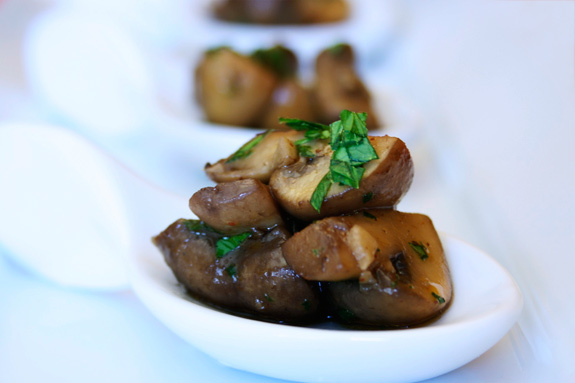 I always try to find more mushrooms recipe, and this one sounds really really good. thanks! I will have to agree that when you combine garlic with mushrooms, paradise ensues. Gorgeous photos! Tony, I don’t do much savoury foods. Actually, I don’t do any savoury foods at all. But your post made me wish that I did!! This looks like an amazing dish. I would probably serve it as a side, instead of appetizer. Mainly because I don’t have spoons that would work with this. Yay! Thank you for this recipe! SO GOOD!!! !